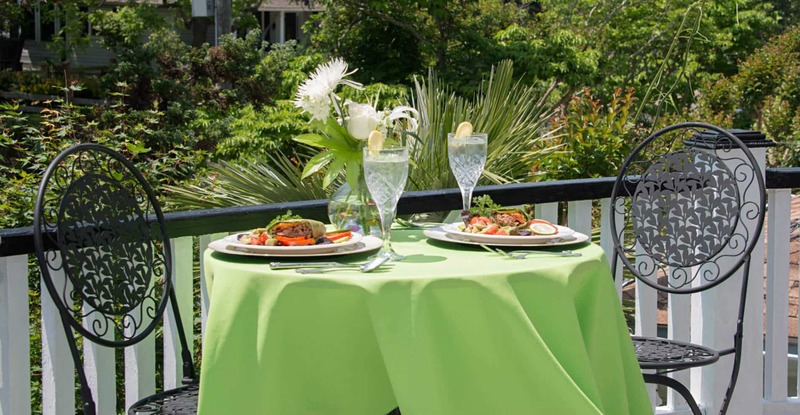 At White Doe Inn of North Carolina, all rates are daily, per room, for one or two persons. Each additional guest in the room is $30.00 per night. A two-night minimum on weekends and a three-night minimum on holiday weekends are required. The White Fawn Cottage requires a minimum of three nights and will accommodate a maximum of six persons, pets and children. 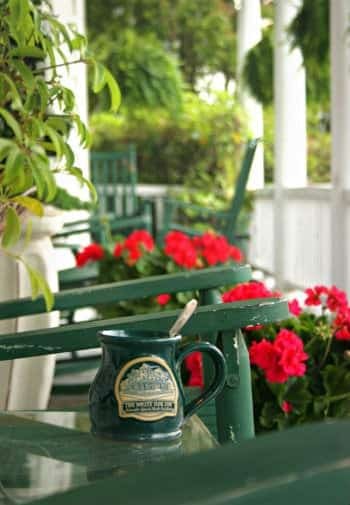 This is a non-smoking Inn; smoking is allowed on the outside porches only. Please, no cigars. Well-behaved children 12 and older, accompanied by responsible parents, are welcome. Guest pets are not allowed. We recommend contacting the Roanoke Island Animal Clinic located two miles from the Inn. Call: 252-473-3117. There is a $25.00 rebooking fee for cancellations or rebooking. 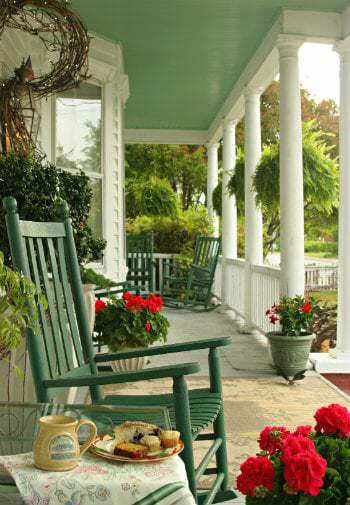 This is a non-smoking cottage; smoking is allowed on the outside porches only. Please, no cigars. Guest pets are allowed, but information must be included in reservation. Call for additional information. Check-in is 3:00 – 6:00 pm. Please call if you plan to arrive later. Cancellation Policy for White Doe Inn – Reservations for more than one night are guaranteed with a fifty percent (50%) deposit by check or credit card. For one-night stays, payment must be made in full. Checks must be received within one week of making your reservations. VISA and MasterCard accepted. A two-night minimum is required on weekends. A three-night minimum is required for holiday weekends and may be required for special events. Cancellation Policy for the White Fawn Cottage – Reservations are guaranteed with a fifty percent (50%) deposit by check or credit card. Checks must be received within one week of making your reservations. VISA and MasterCard accepted. A three-night minimum is required. A reservation made using a prior balance carried over by a previous cancellation will become non-refundable for a future stay, regardless of the date canceled. Early departures and no-shows will be charged the full amount of the reservation. Cancellation Policy for International Guests – International Reservations are Non-Refundable. Cancellation of Special Requests/Services – Special Requests must be canceled 14 days prior to arrival or you will be charged the full amount. Special Requests include, but are not limited to: beverages, tickets, flowers, spa services, etc. Cancellation of Spa Services – Changes to Services and/or cancellations must be made 72 hours prior to your appointment. Cancellations after 72 hours will be charged full amount for any and all services booked. If cancelled within 7 days, a cancellation fee of $25.00 will apply per service. Group Bookings – Groups booking more than two bedchambers must give 20-30 day notice; a $25.00 rebooking fee per room may be charged regardless of cancellation date. Any groups booking four or more bedchambers: please call the Inn and ask for the Manager for details on the cancellation policy and possible group rates. Hurricane Policy -If Manteo/Roanoke Island is issued a Mandatory Evacuation Order by Dare County, a refund will be given. If evacuation order is not issued for Manteo/Roanoke Island, a credit for another stay will be given, should our guest decide not to stay/arrive. White Doe Inn Event Cancellation Policy – A non-refundable 50% with a signed contract is required to book/reserve an event date and will be applied to the final billing. The final payment is due 30 days prior to the event. Final payment is non-refundable if the event is cancelled within 0-30 days of the event. In the event the responsible party cancels the contract, the responsible party shall pay the White Doe Inn an amount equal to the services already rendered and the amount equal to all out-of-pocket expenses incurred for goods and services. Any additional expenses will be due at the end of the day of the event. Third Party (OTA’s Cancellation/Refund Policy (Booking.com, Expedia, etc.) – Reservations canceled under 30 days are non-refundable deposits and must be made through the OTA used to book the reservation. Refunds will be made by the host inn in accordance with the inn’s cancellation policies once cancellation notice has been received from the OTA. A reservation made using a prior balance carried over by a previous cancellation will become non-refundable for a future stay, regardless of the date canceled. Early departures and no-shows will be charged the full amount of the reservation. Reservations are guaranteed with a fifty percent (50%) deposit. Payment must be made by either a Visa or Master Card.